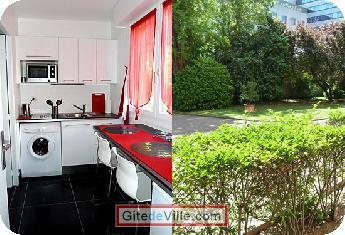 Self Catering Vacation Rental of 30 m² in Lyon for 4 peoples. Fully renovated, quiet and on the ground-garden of a secured residence, this beautiful 30 sqm apartment overlooks a lovely garden. It gives you the opportunity to stay in a popular area, close to Part-Dieu business center and only 4 subway stops from downtown (Bellecour). 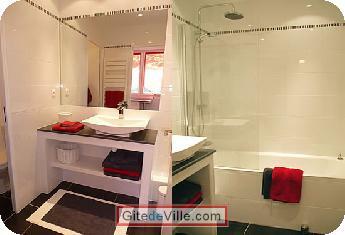 Comfortable and bright, it consists of a living room, a kitchen, a bathroom and separate toilet. It can accommodate up to 4 persons with the sofa bed. Situated in Monplaisir, you will enjoy the lifestyle and the many advantages offered by this popular neighborhood of Lyon: many shops and markets, restaurants, transportation, 10 minutes walk to Part-Dieu business district, close to downtown, hospitals and universities. Easy access to highways to the Alps, Paris and South of France. Last Ads update : 03/28/2011.